Thanksgiving dinner, with its unique combination of sweet and savory dishes, would seem to pose a challenge to even the most knowledgeable wine enthusiast. Oddly, exactly the opposite is true. It’s a no-brainer that even a novice could manage. Over the years I’ve developed a three-stage approach to the Thanksgiving feast. I typically serve a sparkling wine aperitif to pair with the typically salty pre-dinner snacks. With the main event, roast turkey of course, I will offer two wines, a red and a white. Either works, which removes much of the mystery. For the final course, I will choose a spicy white to complement the fall spices found in a typical Thanksgiving dessert, such as pumpkin pie. Given that Thanksgiving is a decidedly American tradition, this year I’ve limited my suggestions to domestic made-in-America wines. These bubblies should be serious but casual, so I’ve eliminated vintage sparkling wines from consideration. The short list: Domaine Chandon Brut, $24 (best-of-class non-vintage brut and a score of 94 points at the 2018 Sommelier Challenge), J Vineyards Cuvee 20, $38 (awarded platinum and a score of 94 points at the 2018 Critics Challenge) and Gloria Ferrer Blanc de Noirs, $22 (90 points 2018 Sommelier Challenge). Last but not least, the Domaine Chandon Etoile Brut Rose, $55 (best-of-show sparkling wine at the 2018 Sommelier Challenge. Alternatives: If bubbly’s not your thing, a crisp white such as the 2016 Zocker Gruner Veltliner at $20, the 2017 Penguin Bay Dry Gewurztraminer at $15.99, or the 2017 Navarro Pinot Grigio at $17 will stand in nicely. Second, the main course. Chardonnay for the white and pinot noir for the red will have universal appeal because both tend to offer a nice spice note that picks up on the spices and seasonings that accompany a turkey at the Thanksgiving table. 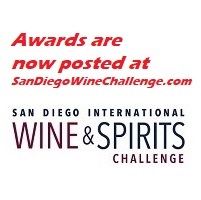 The short list, chardonnay: 2015 Rodney Strong Chardonnay, Estate, Sonoma Coast, $25 (91 points at the 2018 Sommelier Challenge) and Davis Bynum 2015 Chardonnay, River West Vineyard, Russian River Valley (93 points 2018 Critics Challenge) are both hard to beat for the money, but the DeLoach 2016 Chardonnay Heritage Reserve, $12.99 (94 points and platinum at the 2018 Critics Challenge) will give them a good run. Alternatives: The richness of chardonnay stands up to the strong flavors and aromas of the Thanksgiving table, but some folks want anything but. So, you won’t go wrong with the 2017 Berryessa Gap Rose, Yolo County, $15 (92 points 2018 Critics Challenge) or the 2017 Bonobo Winery Pinot Blanc, Devil’s Dive Vineyard, Old Mission Peninsula, Michigan, $24 (94 points and platinum at the 2018 Critics Challenge). The short list, pinot noir: California pinot noir is the finest in America at this point in time (that wasn’t always the case) and a handful of producers are leading the charge. 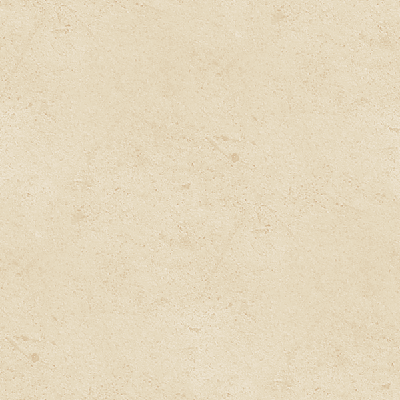 That would be Merry Edwards, Dutton Goldfield and Black Kite. All three specialize in impeccable vineyard-specific pinot noir. They are expensive but worth it. My favorites are the Merry Edwards Olivet Lane Vineyard, the Dutton Goldfield Devils Gulch Vineyard and the Black Kite River Turn Vineyard. Prices range between $60 and $70 per bottle. These three generally don’t enter their wines in competitions, but I recently gave the 2016 Black Kite River Turn a rating of 95 points; the 2015 Merry Edwards Olivet Lane 98 points; and the 2014 Dutton Goldfield Devil’s Gulch a score of 94 points. 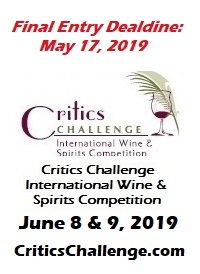 Alternatives: Houdini 2015 Merlot, Oakville, $30 (95 points and platinum 2018 Sommelier Challenge) or Eberle Winery 2016 Zinfandel, Paso Robles, $30 (95 points, platinum 2018 Sommelier Challenge) or William Hill 2015 Cabernet Sauvignon, Napa Valley, $45 (94 points and platinum 2018 Sommelier Challenge. Third, the finale: My general rule of thumb is that dessert wines need not be too sweet, although there can be exceptions. The short list, dessert wine: I’ll start with the sweetest wine first, and that would be the 2012 Dolce Late Harvest Wine, Napa Valley, $85. This sister winery to Far Niente and Nickel & Nickel make the closest thing we have in the United States to a top-notch Sauternes. I rated this wine 95 points. On the less-sweet side, my favorite with moderately sweet desserts would be the 2017 Eberle Winery Muscat Canelli, Estate, Paso Robles, $20 (94 points and platinum 2018 Sommelier Challenge. Alternatives: If you absolutely abhor sweet dessert wines, by all means push on with what’s left of the sparkling wine or the chardonnay!